Congestive heart failure (CHF) affects nearly five million adults in the United States, most of whom are older than 65, and is a leading cause of hospitalization and re-hospitalization amongst seniors. There are several underlying conditions that lead to CHF, including coronary artery disease, which weakens and damages the heart. What happens is the heart is no longer able to pump enough blood to the rest of the body, and that negatively affects many other bodily functions. Fluid begins to back up in the lungs causing a loss of oxygen. The kidneys can’t remove excess fluid and it starts to accumulate primarily in the feet or lower legs. As a result, CHF causes difficulty in breathing, mobility, and extreme fatigue. Congestive Heart Failure is one of the leading reasons for re-hospitalization and about 12% of CHF patients return to the hospital within 15 days of being discharged. CHF is considered a chronic illness. It can’t be cured, but the symptoms can be managed. Having the information and support to manage CHF as you transition home makes the chance of ending up back in the hospital less likely. Some of this preparation happens during discharge planning. While good discharge planning includes scheduling follow-up appointments and education about managing your illness, it’s not unusual for patients and family members to forget much of what they are told in the chaotic and stressful hospital setting. 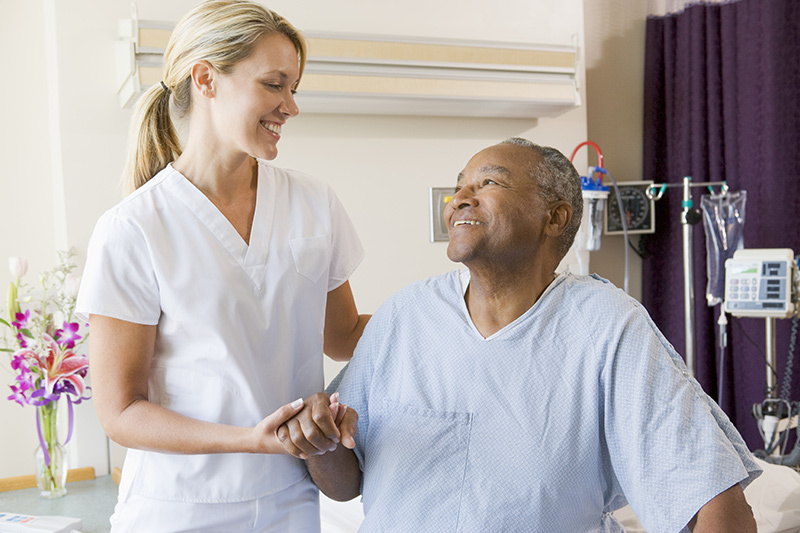 Transitional care programs that involve visits to your home by a social worker or nurse can reinforce what you learn at discharge and have been found to effectively reduce re-hospitalization. It may also mean hiring private duty in-home care to assist with activities of daily living at home. Short-term respite stays in senior living communities is another great options. Unmanaged CHF can greatly limit your ability to take care of even your most simple daily needs, and changes in symptoms can occur quickly and go unnoticed at home. Residential transitional care gives you time to recover, build strength and learn to manage and monitor CHF symptoms in a safe and comfortable environment. Lifestyle changes are a key part of managing CHF. Assisted living staff can help you learn how to track your medications and develop and maintain an appropriate diet and exercise routine to support a speedy recovery. They can help you schedule follow-up appointments and provide transportation or make transportation arrangements for you. They can also help monitor important symptoms such as weight gain, breathing problems, swelling in the extremities, as well as teach you how to tell when a change in symptoms requires a call to the doctor. Amanda Toler Woodward, PhD is an Associate Professor in the School of Social Work at Michigan State University. She does research on services and supports for older adults including racial and ethnic disparities in access to services and international comparisons of service systems. “Congestive Heart Failure (CHF),” Healthline Media. “When Short-Term Care Is Needed,” Seniorly. “Hospital Discharge Planning for Elders,” Seniorly. “What is Assisted Living?” Seniorly. “What is Respite Care?” Seniorly. A version of this article, Recovery Care for Congestive Heart Failure written by Amanda Woodward appeared in Seniorly’s Senior Living Resource Center.